The Verdura Resort is the latest addition to the Rocco Forte Hotels and has become one of Sicily's most prestigious and luxurious resorts. Located on the south coast of Sicily near the small village of Verdura, this stunning resort is set on 230 hectares and nearly two kilometres of private Mediterranean coastline. It's a place where your room will seem woven subtly into the landscape. You'll enjoy a true sense of space and uninterrupted views of azure waters from your private terrace. Verdura Resort is ideal for couples who are looking for pampering and the ultimate relaxation experience. 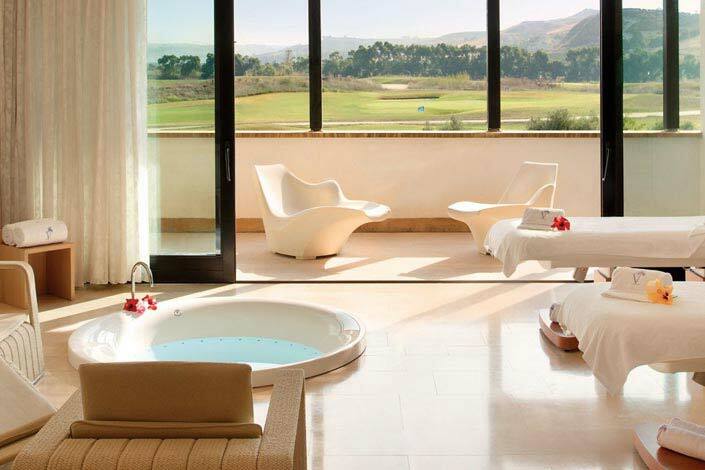 With a wide selection activities: water sports, World Class golf course, extensive spa treatments and restaurants, Verdura Resort is an ideal escape for couples looking for relaxation and pampering. Verdura is a world-class all-year-round golf destination. Awarded the No.1 Golf Resort in Italy 2017 (Golf World). A full range of sports also available with private tuition. Unwind in the open-air thalassotherapy pools, indoor lap pool, saunas, hammam and a variety of peaceful relaxation areas. Nominated for Italy's leading Spa Resort 2016 (World Travel Awards). At the Verdura Resort they love children. The Verdura has been carefully designed as a family-friendly resort, an achievement recognised by the travel awards it has won for its facilities and children's programmes. 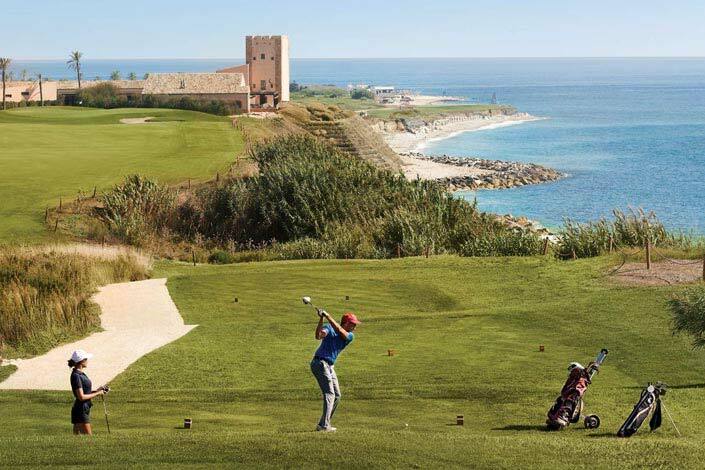 See Kids and Teen Club, babysitting service, Juventus Football School and Golf Academy.